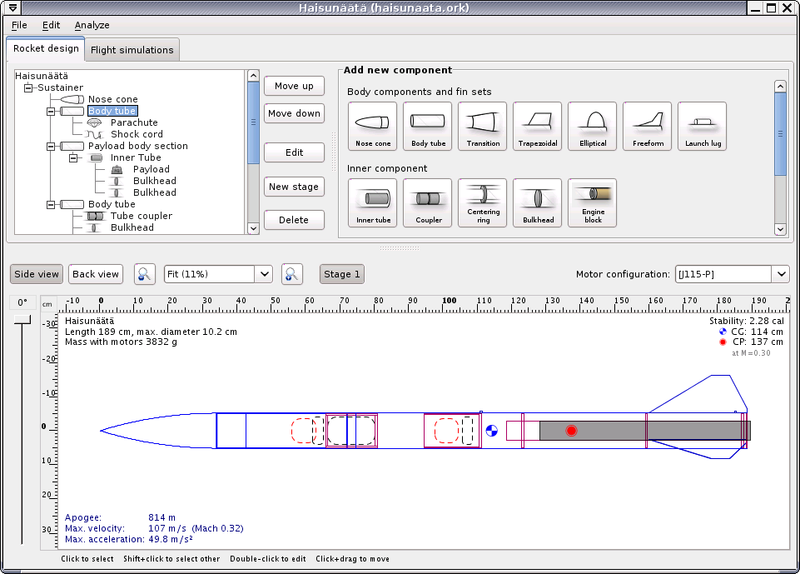 The main rocket design window is used to design the rocket and it also provides information about a flight simulation in real-time. 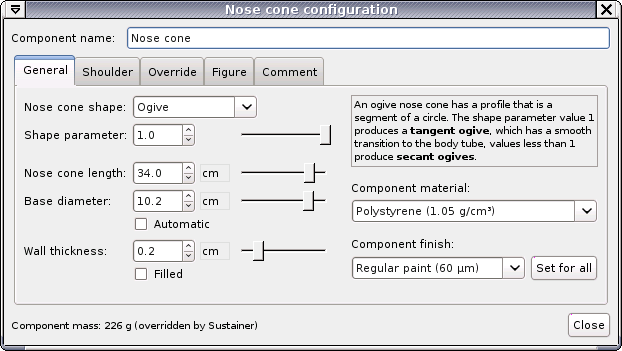 The component shape and properties are defined in their own dialog. 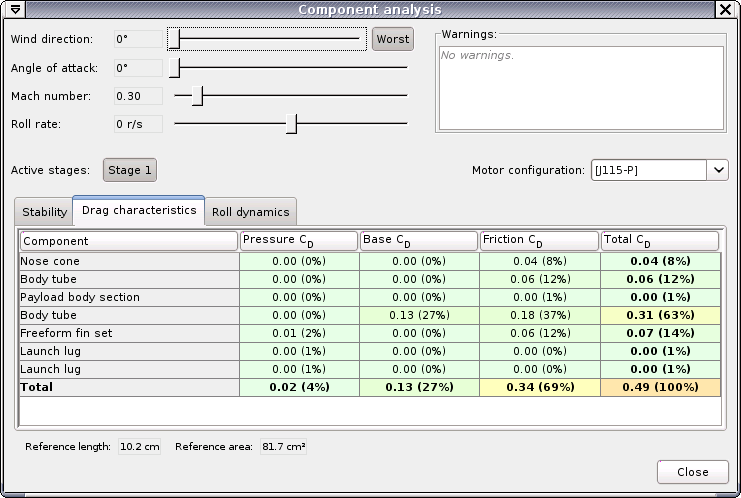 You can analyze the effect of individual components on the stability, drag and roll characteristics of the rocket. 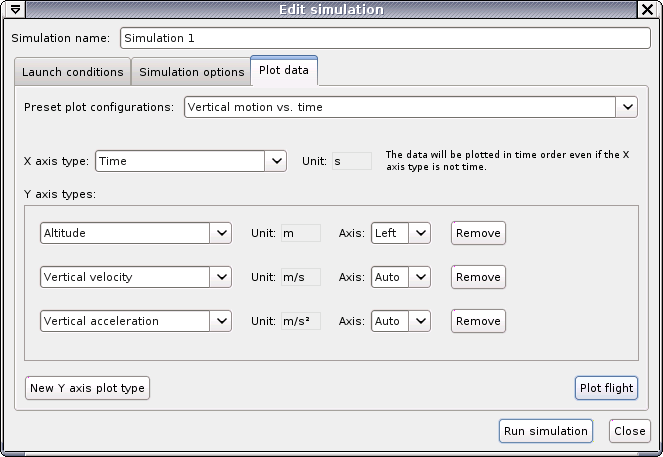 The simulation results can be plotted in a multitude of ways. You can either use the predefined plot configurations or define your own. 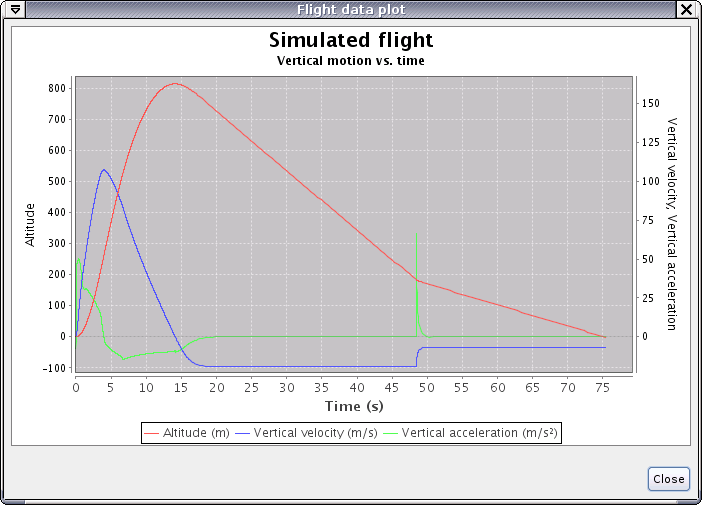 The simulations are plotted using the JFreeChart plotting library. OpenRocket is under constant work in the free time of the developers. You can have a sneak preview on what has been planned by checking the TODO-file in the git repository. If you want to help make OpenRocket the best rocket simulator, don’t hesitate to Get involved!